I’ve been self-hosting for over 10 years with multiple providers, and this site reflects everything I’ve learned. Searching for a good web hosting coupon code can be confusing, so this is a complete guide for all you need to know. But before I get into details, here’s my personal opinion of the current best hosting deal. First, it lasts for three years. Other providers have higher discounts, but for shorter time periods. Hostgator for example, has a $2.58/m deal, but it only lasts for a year. 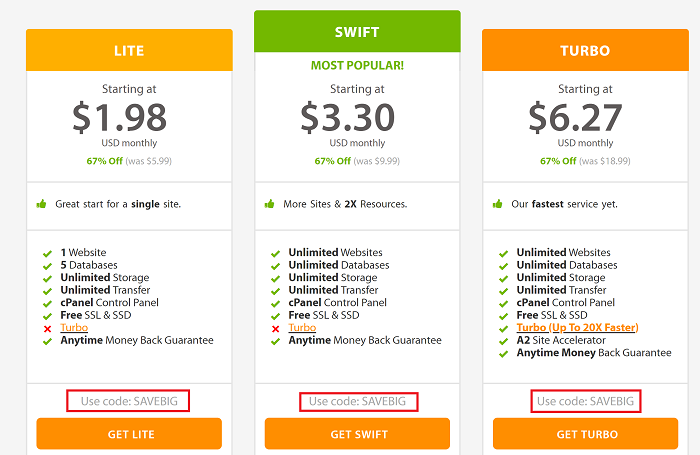 GoDaddy also has its famous $1/month hosting, but only for a maximum of 1 year. Second, the web hosting coupons for Bluehost include a free domain or domain transfer with the initial sign up. That’s a little over a buck a month saved right there! Hostgator even has a 1 cent hosting, but only for the first month. After that, you pay the full amount. Hostgator is actually unique in this department, with a HUGE number of deals. The best web hosting deals are those where you can save the maximum amount of money – and that means longer billing cycles. When it comes to locking in your savings, I think Bluehost has the best deal. Here’s a list of all the web hosting coupons for Bluehost. And now, onto the main guide! There are three different types of web hosting deals – and only the first one is a traditional “coupon” in the sense that we understand it. You typically have to hunt for these coupons, and you have a wide variety of them. DreamHost also has a couple of what we might call coupon codes. There are only two of them, and you need to look kind of hard. They also only apply to shared hosting, and nothing else. Here are the DreamHost promos, with the two coupon codes included. 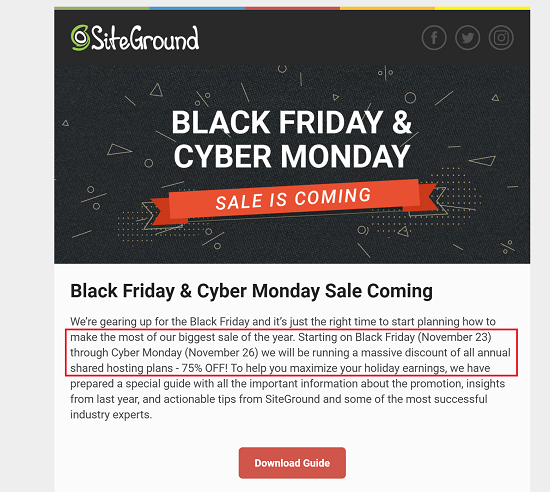 The next type of web hosting coupon code is the “dummy”. 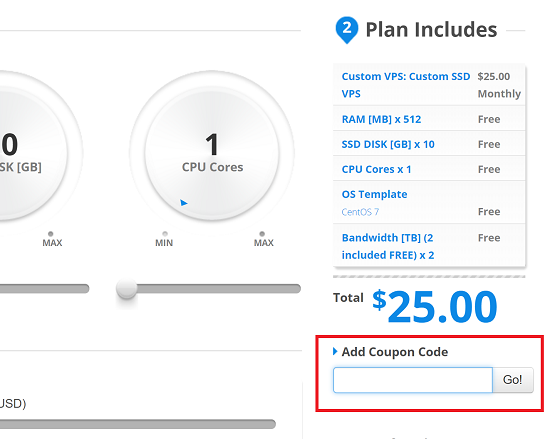 This A2 Hosting coupon list will show you the discounts you get when each “code” is applied. To an extent this applies to Liquid Web as well, even though I put them in the first category. The reason for this double nature is that the code may be automatically applied depending on the link you used to get there. Finally, these are the “pure discount” web hosts. They have no coupon codes, and don’t pretend to offer you one either. The end result is often the same as if you had applied a code – namely a discount for the first billing cycle, and the full price afterward. The difference however, is that you typically can’t choose just how big those discounts are, and you have no flexibility over the time periods over which the discounts apply. I know the feeling – you forget that the initial web hosting discount with which you signed up is only for the first billing cycle. When that first cycle expires, you’re hit with sticker shock. For the first time you realize just how much it actually costs! And then you inevitably start hunting for a web hosting renewal coupon, so you can keep paying less. Unfortunately, I have bad news for you. There are no web hosting renewal coupons. To a small extent, you may be able to lock in some savings on web hosting if you choose a longer initial billing cycle like with Bluehost. But it’s never close to as much as you saved at the beginning. When the time comes due, you will end up paying a lot more. Most of the best discounts for web hosting come in billing cycles of 3-years or more. But for some reason, we humans like to think in terms of yearly costs. Which is why I’ve compiled a page with “per year” web hosting coupons. If you’re looking at hosting only for one year (and not more), then GoDaddy is your cheapest bet with $1/m hosting. If you need hosting for longer than that, then look at the comparison tables and find out which one is right for you! Many web hosts offer special deals on occasions like Black Friday, Labor Day, and the other holidays. This is the big one. Black Friday after Thanksgiving, followed by “Small Business Saturday” the day after, and then Cyber Monday two days later. Most providers have their biggest discounts of the year during this time. Here’s a page where I maintain a list of all the Cyber Monday and Black Friday hosting deals. Hostgator really goes all out with not just full day deals, but also per hour offers. The list is so large, I have a separate page for Hostgator Black Friday offers. On my hosting coupons for GoDaddy page, you’ll see that it also has domain coupons – one of the only ones around. Apart from these, all web hosts give you the option to purchase a domain upon hosting. But none of them will give you a discount other than the three listed above. It would be remiss of me not to mention this if you’re willing to compromise. And I mean compromise a lot. It’s too detailed a topic to go into quickly, so I’ll just point you to my guide on free web hosting. Suffice to say that it’s not useful for any kind of genuine business purpose, but it does have its uses. Hopefully, this has been a useful guide for you to learn about the various types of web hosting coupons. As you can see, there’s a lot to unpack in a competitive industry. With this information, you should be able to find a deal that’s just right for you. Happy hunting!